Far right leader Tommy Robinson is attempting to capitalise on the Government's Brexit crisis by organising a rally on 9th December to promote his far right, fascist agenda. He is trying to win broader support for a new violent racist street movement, which has already been responsible for racist attacks and attacks on trade unionists, including RMT members. RMT is supporting the counter demonstration organised by Stand Up to Racism on 9th December. On the streets against Trump and the far right! against Trump and the far right! ​RMT is supporting the mobilisations protesting the visit of US President Donald Trump on Friday 13 July, and the counter-protest against a planned far-right mobilisation in support of Tommy Robinson on 14 July. Join us to oppose hate and stand up for unity and solidarity. Read more about On the streets against Trump and the far right! ACTIVISTS FROM transport union RMT, fighting union-busting outsourcing outfit SODEXO, will be linking up with campaigners from the Orgreave Truth and Justice Campaign in central London on Friday as both organisations seek to apply pressure for justice in their respective campaigns. International Speaker from the Afrikan community in India. Receiving reports from community Groups on their Reparations activities and from previous presenters. This is a FREE conference followed by a social and music. Today’s attack on the Islamic centre in Muswell Hill was a barbaric act calculated to whip up division in the community. The London Transport Region of the RMT wholeheartedly condemns the attack on the centre and offers its full solidarity and support to the community which it serves. We call upon the trade union movement in London to lead a campaign of support and solidarity with the local Muslim community. Following a resolution from the London Transport Regional Council, RMT's Council of Executives mad the following decision: That our rules and policies have shown this Union to be consistently opposed to far-right organisations such as the English Defence League. Check out the latest Black & Ethnic Minority members' newsletter. It has the dates for our next set of meetings, plus details of how RMT members can get nominated for our National Committee. The Advisory Committee meets three times a year and its role is to advise the Council of Executives on issues relating to black and ethnic minority members.Items are submitted to the Advisory Committee by Branches and Regional Councils.The three-year term of office for members of the National Black and Ethnic Minority Members’ Advisory Committee finishes at the end of this year. Nominations from Branches are currently being sought for delegates to serve on this Advisory Committee from January 2013 until December 2015. Please inform your Branch Secretary if you want to be nominated. 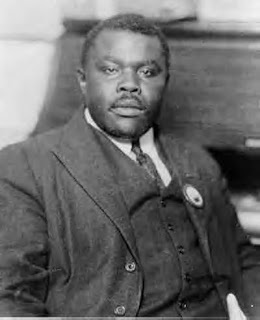 100 years ago, renowned activist, leader & teacher Marcus Garvey, visited the UK for the first of many visits. To commemorate the remarkable occasion and in time to participate with October's 'Black History month' celebrations, RMT BEM have helped commission a brochure, detailing the background and achievements of this legendary character's life.